Employees are your most valuable asset. Having the right human capital management tools in place helps you take care of your employees and keep your business running. By consolidating these tools into a single portal and integrating into operational data, you can streamline processes and create efficiencies that save you time and money. With the TimeForge suite of workforce management tools, you can manage employee scheduling, payroll, vacation requests and more from a single portal that easily integrates with your other systems. These solutions are backed by the experience and expertise that the TRUNO brand is known for, so you can feel confident TimeForge will guide you and your team on the road to success. Consolidate your human capital management tools into a single view. Find the best candidates and onboard new hires faster and easier. Build staff schedules quickly and easily—anywhere, anytime. 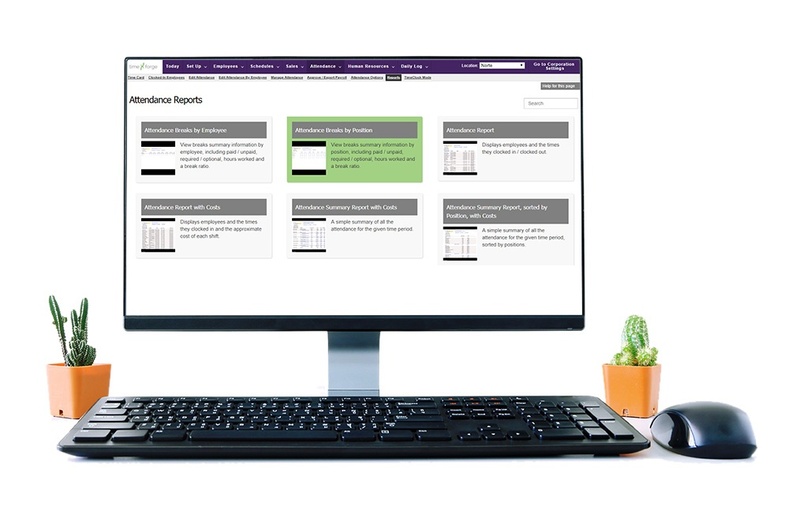 Track attendance and enforce schedules with confidence. Take care of employees by ensuring they’re paid on time, every time. Seamlessly transfer employee data, sales information and more. Use fingerprint matching algorithms to track attendance accurately. Need Help on Your Road to Success? Let’s Talk.